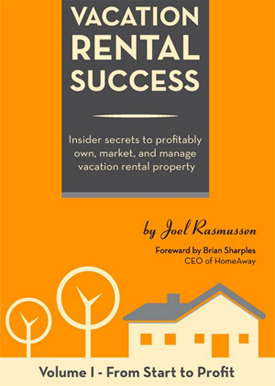 VacationRentalDesk.com is proud to announce that one of our outstanding clients, Joel Rasmussen, President of the Austin Vacation Rental Alliance, has authored a new book for vacation rental homes owners! Vacation Rental Success will show you the way from "Start to Profit". Joel himself is a highly successful vacation rental business owner in Austin, Texas. Joel has been using our Online Booking & Reservation Management Service since 2010 to help grow his vacation rental business into the successful enterprise it is today.